High school has always been...High school. I'm not "popular" but I have my core group of friends, and I'm a tutor, so people know my face. Aside from that my high school existence has, basically like your average teenage wallflower. So when it was time for prom, I figured why not go all out, finally allow my star shine bright? Prom would be the perfect time for that. 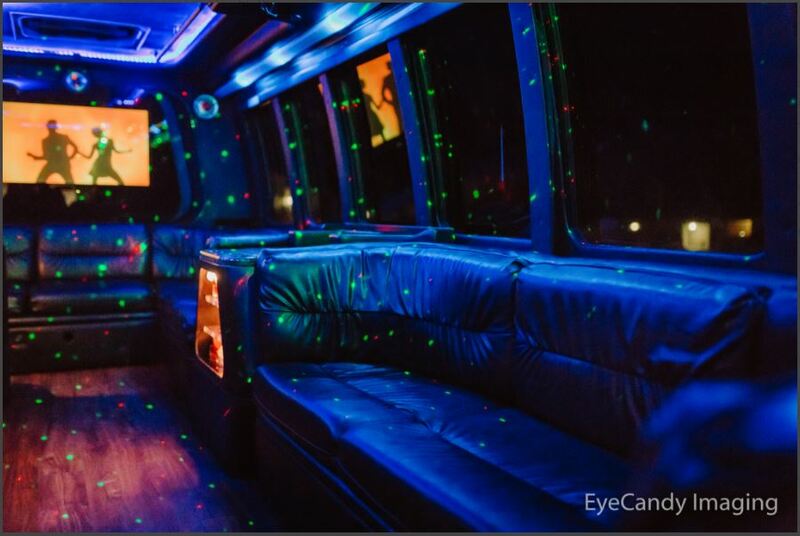 I decided to call St Louis Party Bus Rental because after looking at the photos I knew the 18 passenger bus would be perfect for my friends and me. I also chose not to tell them that I was getting a party bus, the surprise would be classic. I had my mom drop me off at prom since the party bus would drop me off back at home and I didn't have a date anyway. At the dance I just did what I normally do - stood around, talked to people and just chilled. Near the end of the dance, a couple of my friends came up to me with these big ol' smiles, like "Hey Mike, Dude there is a friggin Party Bus outside with YOUR NAME on it!! At that, I just smiled back and replied: "I know, right." Now, I have four awesome friends that I've known since Kindergarten and with their dates that made a total of 9. I got the 18 passenger bus because ​I wanted to ensure we had plenty of space to move, dance and enjoy the experience. This is how I set it up: Our prom was at a favorite hotel, and I ride the elevator headed down to the first floor. After leaving the elevator I walk down the quiet hallway toward the main lobby, passing by other prom-goers on my way. When I turned the corner, I saw the party bus immediately. The night was one of those perfectly warm evenings where girls were comfortable standing outside in spaghetti strap dresses with nothing covering their shoulders and guys were comfortable in their long sleeves and jackets. My bus was sitting right in front with a few of the spotlights from the of the hotel reflecting off of it and giving it a glittery kind of sparkle. The chauffeur was standing next to the vehicle, wearing what could be best described as a traditional uniform (black jacket, white shirt, black tie, drivers cap), holding a small white board with my name written on it. A red carpet led to the entrance of the party bus. Everyone was already outside (a minor miracle for sure) and it just so happens that so happens that we had room for a few more people. The entire experience was incredible everyone had a blast. We sailed around Saint Louis in style, and I felt like real prom king of the evening. Between the look of the bus and the level of service provided I will be using St Louis Party Bus Rental for my future events. I was a freshman and had a crush on this junior who, as fate would have it just happened to be friends with my best friend. I had never actually talked to him, so one could imagine what I thought when I opened my locker one morning to find a single white rose tapped to the inside of my locker with a note that asking “Would you like to go to prom with me? Love Oscar.” My friend stashed it in my locker. I thought she was playing a joke, so I didn’t bother taking any action. A few days before prom I get a call from Oscar. Well, the joke was on me because he was serious, he did want to go with me, but I did not prepare. So I didn't have so much as a dress or hair appointment. I talked to my mom, and she told me that under the circumstances it would be ok if I stayed home from school to go shopping for a dress and stuff with my older sister. The night of the prom I was getting ready. My dress was on, my makeup and hair were all done, and when I went to put on my shoes, I couldn't find one!! An hour of searching and a half hour of completely freaking out had passed by when the doorbell rings! Ohhhhh, My GOD!!! Oscar and nobody would answer it. So I had run downstairs in one, I was so embarrassed. When I opened the door, everyone was standing there smiling - family, friends - cameras in hand cameras and standing in front of a white party bus was Oscar with my other shoe. He said, ”Cinderella, you can not attend prom without your other glass slipper.” Can you say corniest but most romantic night of my life and we're still dating.